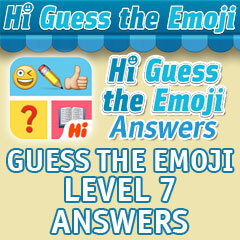 Emoji word puzzle games are the latest trend and Hi Guess have jumped in and gotten busy to bring you Hi Guess The Emoji. We've jumped in and gotten busy to bring you Hi Guess The Emoji Answers! 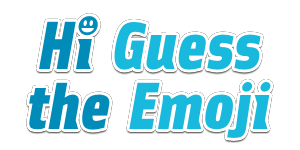 If you need a little help on any of the levels, just find the screenshot or thumbnail of the emoji set and we'll give you the solution to that puzzle.